There are 2 artists sharing this name: 1.) 3rd Bass, an American Rap Group. 2.) 3rd Bass a.k.a. Third Bass, a French dance-act 1.) 3rd Bass were a rap group in the late 1980s and early 1990s, notable for being one of the first interracial rap groups in history. Like the Beastie Boys, 3rd Bass helped prove that white rap was viable both critically and commercially. MC Serch (Michael Berrin), Pete Nice (Pete Nash) and DJ Richie Rich (Richard Lawson) were the three founding members of the group. 1.) 3rd Bass, an American Rap Group. 1.) 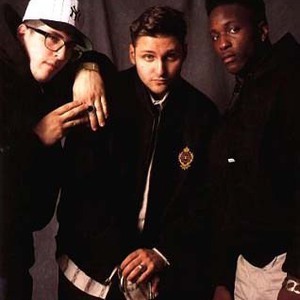 3rd Bass were a rap group in the late 1980s and early 1990s, notable for being one of the first interracial rap groups in history. Like the Beastie Boys, 3rd Bass helped prove that white rap was viable both critically and commercially. MC Serch (Michael Berrin), Pete Nice (Pete Nash) and DJ Richie Rich (Richard Lawson) were the three founding members of the group. Richie Rich was a local d.j. and is African-American, Nice was a student at Columbia University and hosted a hip hop show on WKCR. MC Serch rapped at clubs and block parties and released a single called "Hey Boy" on Idlers, an independent record label. Sam Sever, a producer, convinced Nice and Serch to work together in 1987. Sever, Prince Paul, and The Bomb Squad produced The Cactus Album (The Cee/Dee), a critically acclaimed debut LP. 2.) 3rd Bass a.k.a. Third Bass was a French dance/house-project created by the producers Patrick Fasseau, St?phane Akenan & Stephane Kalkapidis.